Pixel Will Come in Quite Black, Very Silver and Really Blue - "A Blue So Blue We Created It New"
Well, Apple started it… Google didn’t just settle with black or blue. 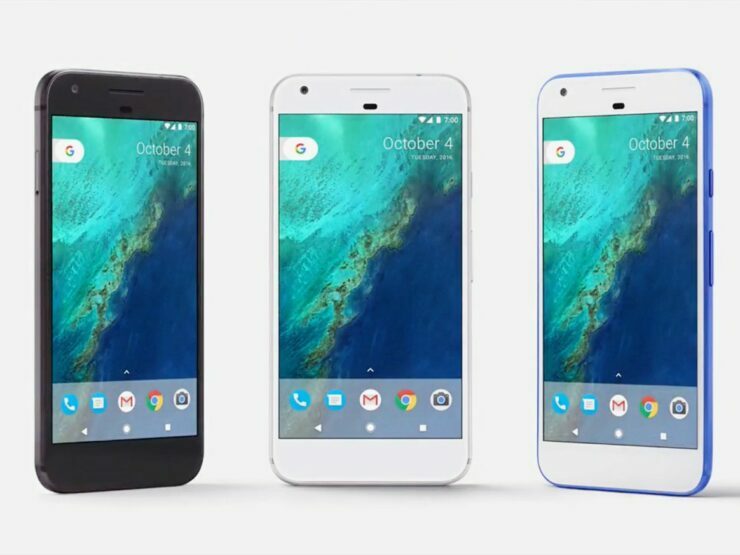 The new Google Pixel and Pixel XL smartphones will be available in Quite Black, Really Blue and Very Silver, Google announced at its event today. Pixel’s limited edition color choice? Really Blue. Really? Out of these three, Really Blue will be available as a limited edition choice. An on stage promotional video said “a blue so blue we created it new.” This is the point where you want to add emojis in a post. Google’s Sabrina Ellis didn’t tell us what makes this blue so “new,” and different from mundane blues that we know of. But, it doesn’t surprise us that Google tried to make fun of colors. Earlier in September, during its iPhone announcement, Apple introduced Jet Black and Matte Black color choices for the brand new iPhone 7 and iPhone 7 Plus. It appears that Google is trying to say that Quite Black will be blacker than the Jet Black or the Matte Black. The war of Blacks continues… Oh, and Google has kept “satisfyingly not so new” 3.5mm headphone jack. If you want to get your hands on the limited edition Really Blue color, sadly that option is already sold out for both the smartphones. For more price and pre-order details, check out this post.